Suggested slogan: "Get a Lode of Us." Named after a railroad dispatcher for the Galveston, Harrisburg and San Antonio Railroad, Comstock came into being about 1883. 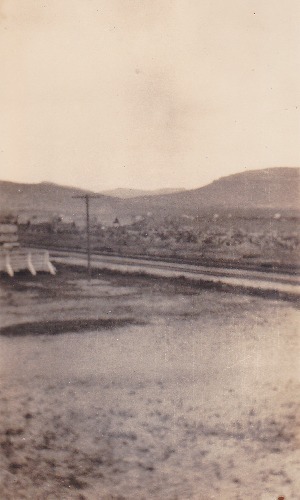 The original town site was just east of present Comstock and was called Sotol City. 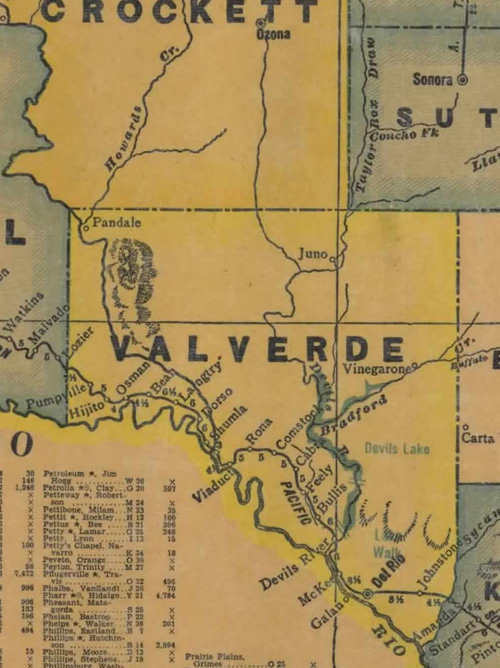 Like hundreds of towns in Texas, the post office appeared at the same time as the first store. In this case the year was 1888 and the store belonged to George Washington Ames. The Deaton Stage Line operated between Comstock and Ozona for 22 years beginning in 1888. The population was as low as 8 people during the depression, and reached a peak of 400 during WWII*. Today Comstock is a little too close to Del Rio for travelers heading west to need a rest stop so soon, and east-bound travelers probably stopped in Langtry. The hilly terrain makes an interesting residential section. The highway frontage is littered with failed businesses and the liveliest building in town is the U.S. Border Patrol Station. Mule-Drawn Machine Gun Outfit in Texas 1923 - Old photos of 230 mile trip from Marfa to Del Rio via Longfellow and Comstock. 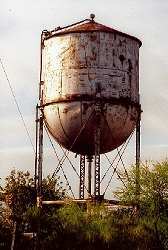 The water tower stands in a residential backyard. It now serves as a reservoir for a swimming pool. * (See Comstock Forum) The present condition of the water tower is not representative of the charming community of Comstock. *Our source, as it often is, is the Handbook of Texas Online.